Amazon Prime drone delivery service: Jeff Bezos' plan is full of hot air. Amazon Prime Drone Delivery? It’s Hot Air. 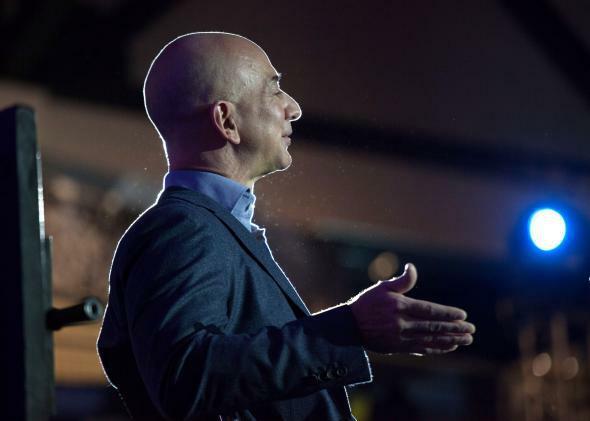 Jeff Bezos once caught a fish this big. In an infomercial hosted by Charlie Rose on CBS’s 60 Minutes this weekend, Amazon announced that it plans to deliver small packages via drone in the near future. Many media outlets have credulously repeated this claim, just like they did with the beer-delivering drone and the taco-delivering drone. However, the technical, regulatory, and logistical challenges of autonomous flight in crowded American urban airspace are far more profound than Bezos allowed on TV. As he said, the FAA is now revising its rules regarding autonomous flight. The FAA roadmap is complex. But it bluntly states (on Page 33): “Autonomous operations are not permitted.” There is an exception for line-of-sight operations for small UAVs. But Bezos’ vision of autonomous delivery in a city is not, according to the FAA roadmap, in the cards in the next few years. With the miniaturization of electronics, drone technology has advanced rapidly over the last several years. But the only thing it will be delivering for Amazon in the near future is good publicity, a shiny distraction from serious inquiry into the company’s ambitions and practices. Every futuristic blog post (like this one) is that much less time spent talking about how Amazon actually achieves its swift deliveries today, which has been chronicled in Mother Jones. As Bezos said in his 60 Minutes interview, the drones he hopes to use have a range of at most 10 miles or so. The commercial case thus makes sense only in densely populated urban areas. But the promotional video Amazon released shows a drone flying from a warehouse out over wide-open fields before abruptly cutting to a suburban house (at 54 seconds in). It’s hard to say for certain, but it doesn’t look to me like the house is anywhere near the fields, nor in the urban centers Bezos says Amazon’s drones will fly in. I know it can’t be before 2015, because that’s the earliest we could get the rules from the FAA. My guess is that’s, that’s probably a little optimistic. But could it be, you know, four, five years? I think so. It will work, and it will happen, and it’s gonna be a lot of fun. At least when Google comes up with ideas like this—Gmail motion, for instance—it has the grace to do it on the first of April.